An interactive forum designed to document the experience of a Fulbright Lecturer at the University of Oulu, Finland. Hi, gang. 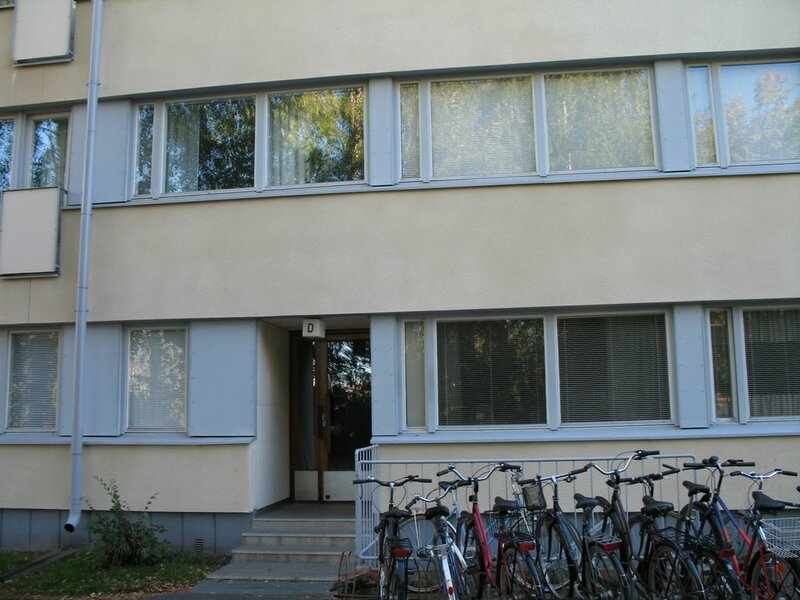 No time to write today, but here's a photo of the outside of my flat (also of my bike, far left). The address is Koskitie 35 D 5. Koski means rapids and tie means road. Rapids Road is, in fact, right next to the Oulujoki (Oulu River). 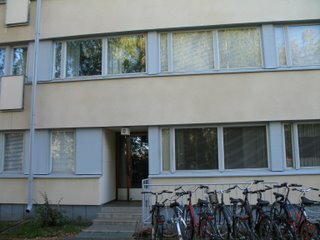 35 is the street address that applies to several buildings that constitute a block of flats; the Finns call it a kerrostalo. Within a given kerrostalo, stacks of apartments are hung vertically from stairwells, rather than arranged horizontally along internal corridors. The stacks are designated by letter. I am in apartment 5 of stack D of the kerrostalo at Koskitie 35. Fresh out of graduate school in 1970, Kenneth Kolson taught at Hiram College in Ohio for the next fifteen years. In 1985, he joined the staff of the National Endowment for the Humanities, where he worked for the next 22+ years. In 2001, he published Big Plans: The Allure and Folly of Urban Design (Johns Hopkins). In 2006, he was a Fulbright scholar at the University of Oulu in Finland. In 2007, he undertook a special project while detailed to the U.S. Department of State. He retired from the federal service in 2007. In 2008, he went to work for The Ohio State University as director of the Washington Office of the John Glenn School of Public Affairs. During the spring semester of 2014, he is serving as a Fulbright scholar at Siauliai University, Lithuania. The opinions expressed on Baltic Avenue are the author's alone and should under no circumstances be attributed to the Glenn School, the Fulbright program, or the Department of State.